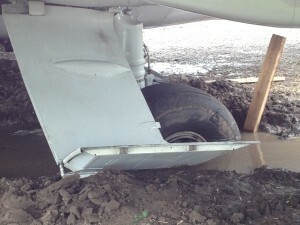 N288FE a FedEx Boeing 727-200 cargo jet named Michelle, is stuck in the mud at Cahokia Airport. This retired three engine cargo jet, built in 1979 was first operated by Ozark Airlines, then Pan Am, and eventually was converted to a freight hauler and operated by Federal Express. When fedEx retired it from service in May of 2013 they donated it to the St Louis Downtown Cahokia Airport for Fire Fighter training. 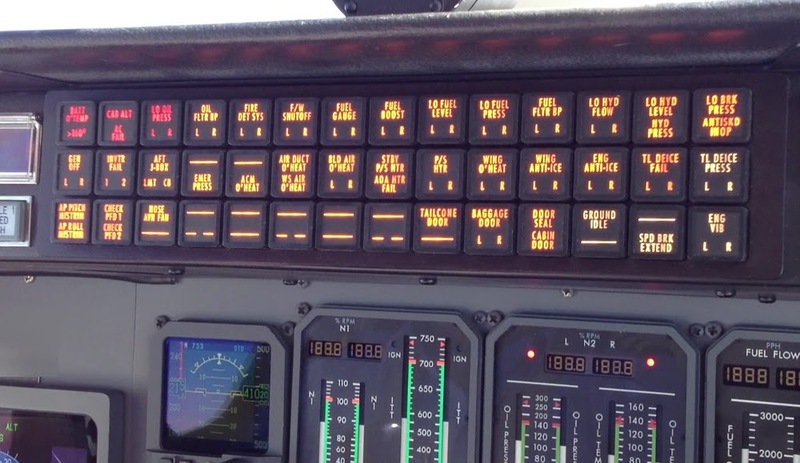 Its final flight was to CPS where it was left by its three man crew. Later, as it was being towed to the northwest corner of the airport, it sank into a muddy field. At an empty weight of 98,400 lbs the soft ground it was being moved on to could not support the aircraft weight. It came to rest with the main landing gear sunk in the field and the nose gear resting on a city street. In the video A hawk is perched on one of the main wheels seemingly assessing the fate of this poor old bird. A week later and after some digging, the wheels of this airplane were pushed on to sheets of plywood and it was pushed further into the field to clear the road. 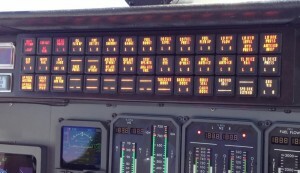 Boeing built 1,831 of these aircraft which served as both passenger and cargo jets. 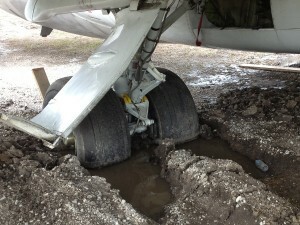 This entry was posted in Uncategorized and tagged 727-2d4, accident, boeing, boeing 727-200, cahokia airport, cargo jet, cps, fedex, fedex 727, hawk, pratt and whitney jt8d, stuck in mud on June 24, 2013 by James Sorsby.